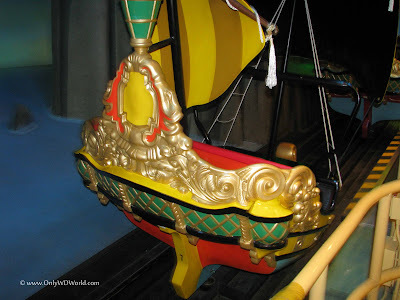 Since 1971 Peter Pan's Flight has thrilled Disney World guests. 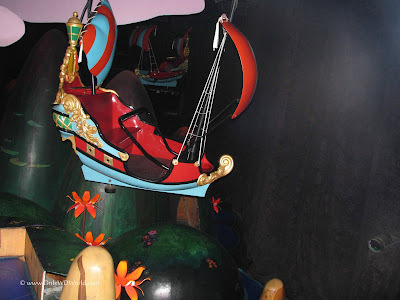 This Magic Kingdom Attraction found in Fantasyland differentiates itself by giving the rider the sense of flight through a unique ride vehicle. 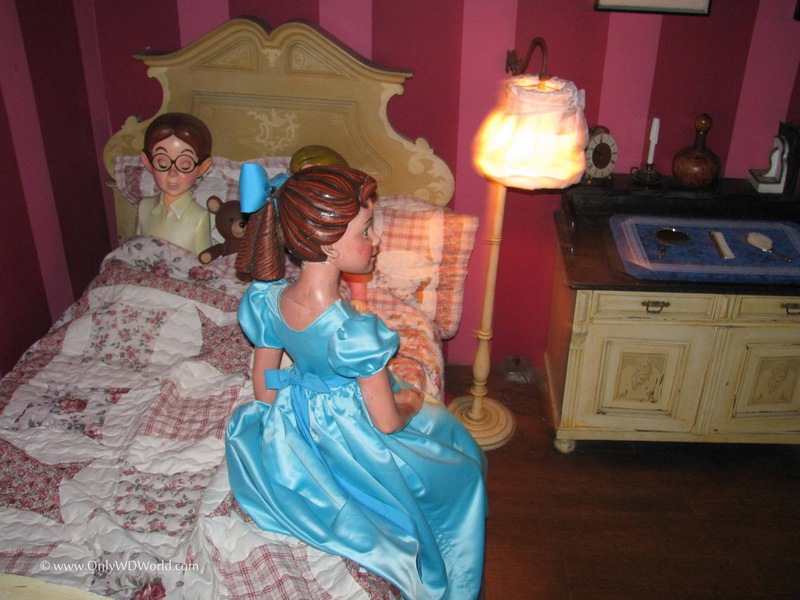 After almost 40 years it still continues to be one of the most popular attractions at Disney World. Peter Pan's Flight is true to its name as it lets you pretend that you are flying through the story of Peter Pan, Tinker Bell, Wendy, The Lost Boys, & Captain Hook as told in the 1953 Disney Film "Peter Pan." Your ride vehicle is a sailing ship that is attached to a rail that is above the ship. This enhances the sense of flying as you have an unimpeded view of the scenes below you. The ship is simple in design yet well detailed to help you embrace your flight to Neverland. 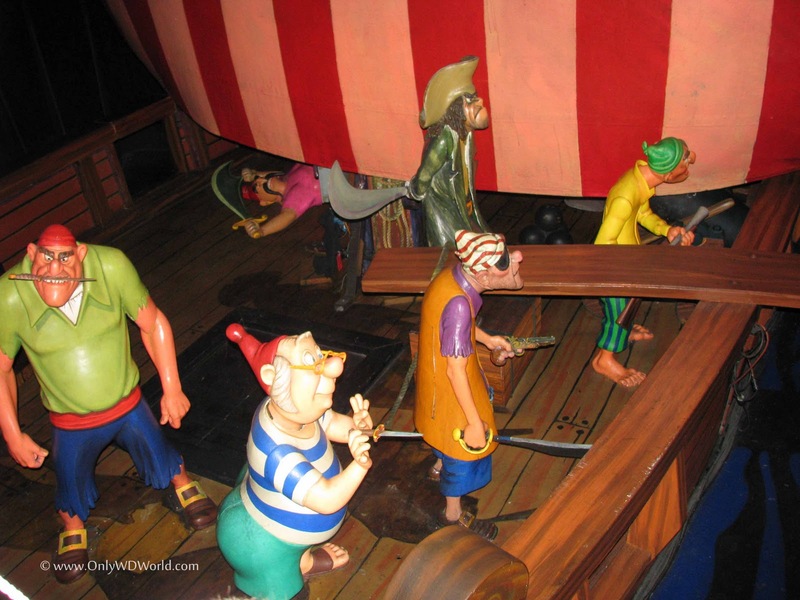 Although the ride is relatively slow moving, you quickly see why people, young and old, continue to flock to Peter Pan's Flight. The bird's eye view (or Peter Pan's eye view) perspective makes the attraction different from any other Disney dark ride. Disney Imagineers use the magic of forced perspective to make the distance between the tops of the buildings and the ground, as well as, the distance of the riders to the buildings appear greater than they actually are. This heightens the sensation of flying and makes the ride more exciting. Wendy at her home in London. Wendy being forced to walk the plank. 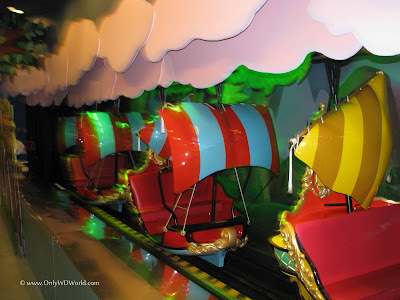 Classic Attraction That Is Still A Must Do! 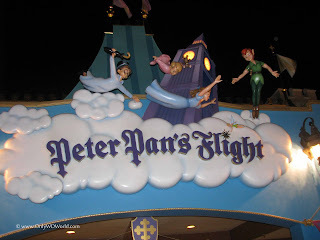 Even as Peter Pan's Flight approaches it 40th anniversary it continues to be an attraction that is on almost everyone's must do list, as evidenced by the long lines. It is consistantly the most popular attraction in Fantasyland and it one the most popular in all of the Magic Kingdom. 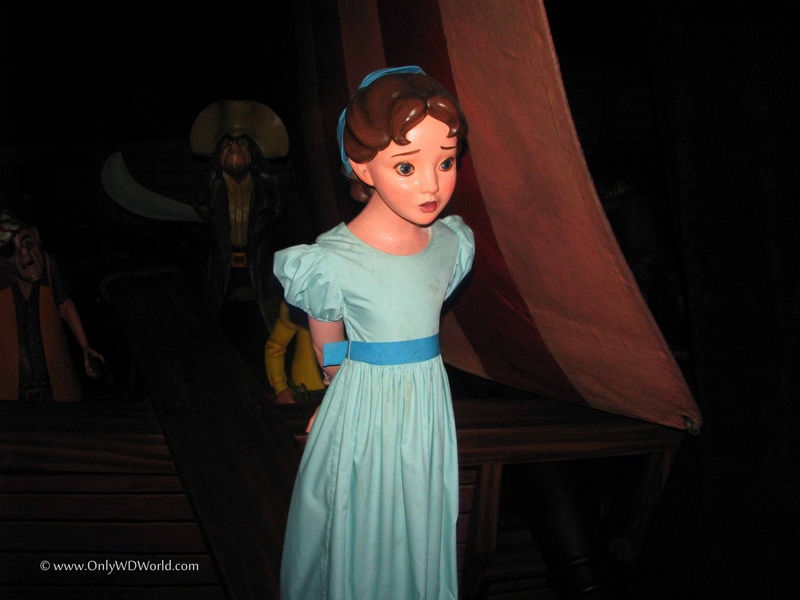 Disney World guests love the chance to fly to Neverland and experience the J.M. Barrie story as if you had gotten some Pixie Dust and were allowed to fly along with Peter Pan himself. 1 comments to "Peter Pan's Flight - A Disney World Classic Attraction"